News TV Channel / The United Nations (UN) is an intergovernmental organization tasked to promote international co-operation and to create and maintain international order. A replacement for the ineffective League of Nations, the organization was established on 24 October 1945 after World War II in order to prevent another such conflict. At its founding, the UN had 51 member states; there are now 193. The headquarters of the UN is in Manhattan, New York City, and is subject to extraterritoriality. 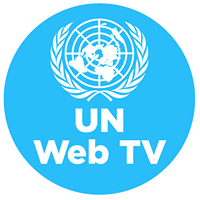 UN Web TV is the public affairs television arm of the United Nations. It broadcasts live and recorded gavel-to-gavel meetings of various United Nations agencies and arms from around the world, including the General Assembly and the Security Council. In addition, three series are produced and broadcast on UNTV: 21st Century, UN in Action, Year in Review.